Shmee Hangs Out With Deadpool! After the failure that was X-Men Origins: Wolverine no one thought that a Deadpool movie would ever see the light of day, let alone open to break every ‘R’-Rated box-office record known to man, but here we are, so the question you may be asking, “Is it any good?” The answer is yes. It is not perfect, but it is far better than any movie staring Ryan Reynolds has the right to be. Mercenary Wade Wilson seems to finally have everything that he wants: a steady job, a beautiful girlfriend, and somehow, an apartment in New York City, but it turns out he also cancer. It is in its advanced stages and he doesn’t have long to live, so he does what any person would do in the Marvel Universe, let super-scientists turn him in to a superhero. Of course things don’t go as planned, and the now disfigured and kind of insane Deadpool must seek his revenge! I have to admit the writers did an amazing job with Deadpool’s script. It makes you care about Deadpool in a way I didn’t think possible. Deadpool at his worst is an annoying internet meme, but at his best he serves as self-satire to the superhero genre. This movie allowed him be the satirist that superhero flicks desperately need while making him sympathetic. Bravo everyone! Readers of my blog know that I am not a Ryan Reynolds fan, but Deadpool was the role he was born to play. He is witty and sort of charming even when saying just terrible stuff. It is a shame Origins set this movie back so far because he should have been Deadpool two or three more times by now and never made Green Lantern. If only Days of Future Past had reset that too. I do have some minor quibbles with the film. One: the bad guy Ajax (Francis Freeman) played by Ed Skrein was boring. He did not make a good foil for the craziness of Deadpool at all. Two: while I know that everything has been reset by the events of X-Men: Days of Future Past, the Weapon-X lab was kind of lame. Like I said those things don’t matter much in the face of all the things this movie accomplishes, but they do keep this movie from being just that much better. I enjoyed Deadpool a lot. 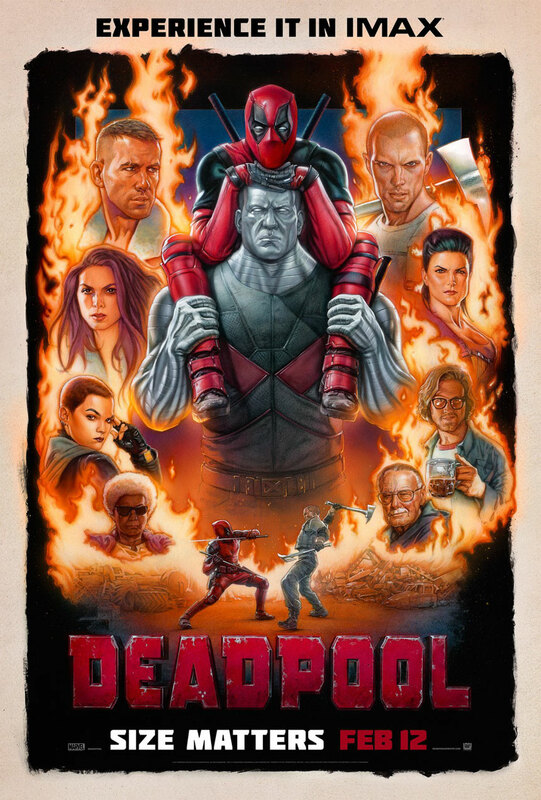 At the extreme rate superhero movies are coming out these days it is necessary to have someone hold up a mirror every now and then to remind people how silly they really are, and I see no one more suited to the job than Deadpool. Quick note, this movie is rate ‘R’ for a reason. Actually it is rated ‘R’ for all the reasons, so please do not take your kids. You know, unless you are a terrible parent. Previous PostPrevious People Are Upset By Quantum Break Giving Away Free Stuff? Next PostNext Forza 6 Is What Forza 5 Should Have Been!